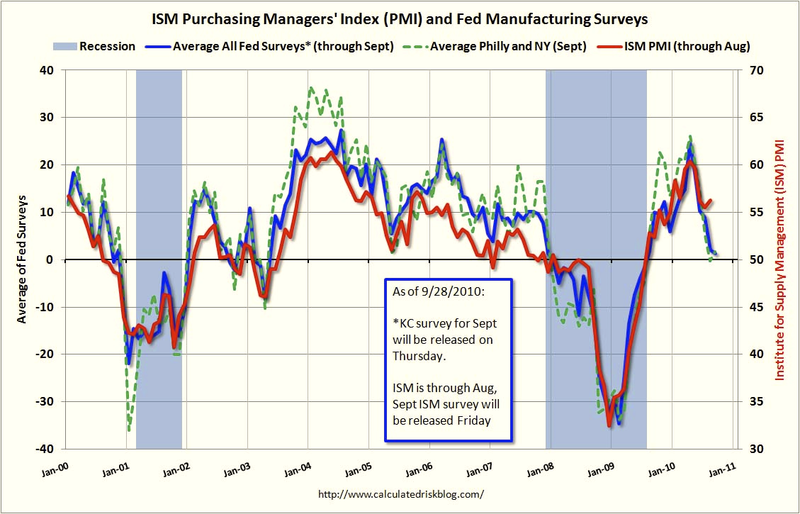 Calculated Risk makes an excellent case for a big miss on the ISM number that will be released this Friday. 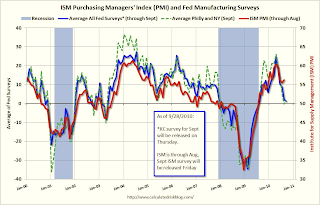 The graph below created by Calculated Risk shows a large divergence between the regional manufacturing surveys in green and blue and the ISM in red. Based on the regional surveys we could see a 50 reading, meanwhile the expectations are for a 54.8 reading. I am strongly considering taking the under right before the number is released. Unfortunately, the number comes out on the seasonally strong first of the month which might mute a negative reaction.